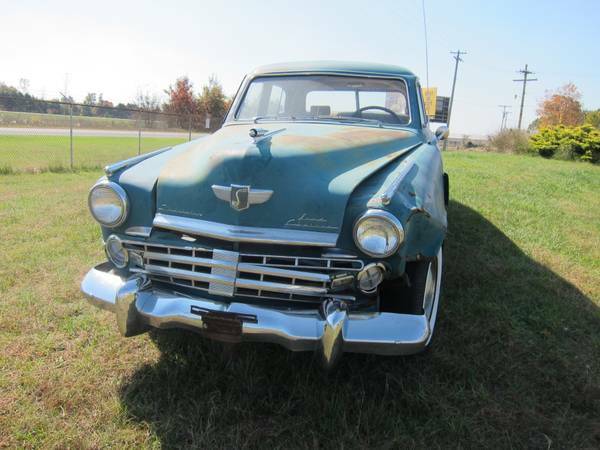 CC Follow Up: 1949 Studebaker Land Cruiser – Going My Way? Very shortly after my first CC piece, I took a trip to South Bend, Indiana. 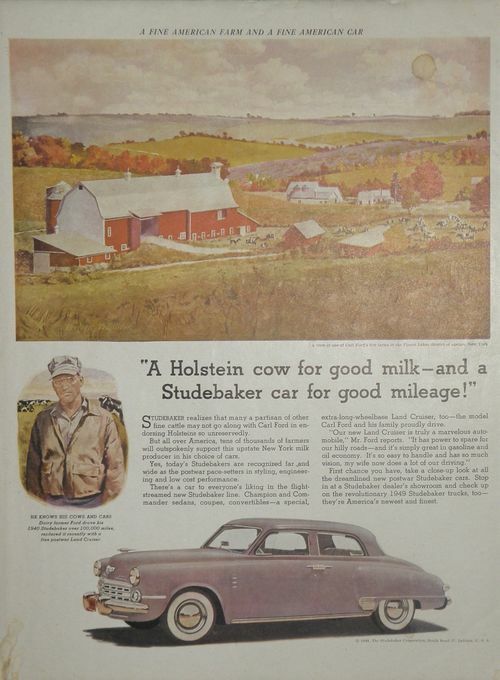 Whenever I go there, I always keep a lookout for Studebakers, being that they were made there and all. I was quite thrilled to find a ’49 Land Cruiser (even though it was up on a trailer at the time), and you can read all about it here. After some recent posts about cars found on Craigslist, or on that well-known internet auction site, I decided to do my periodic Stude search on my local Craigslist. Wow – another green ’49 Land Cruiser. Closer inspection revealed that it was actually the very same car I’d found nearly two years earlier! The new owner has put it on the ground and posted many more pictures (the ad can be seen here), and has even moved it from South Bend to a small community just southeast of Indianapolis. In every other way, though, time seems to have stood still for this old Stude. This is certainly a better fate than being crushed by a falling tree or having a Chevy 350 stuffed into it. I have often wondered just what happened to this car. Now I know. And it’s about thirty minutes from my house. And down to $2,500, including a parts car. Hmmmmm – I wonder if I can talk Mrs. JPC into a little Sunday drive this weekend. 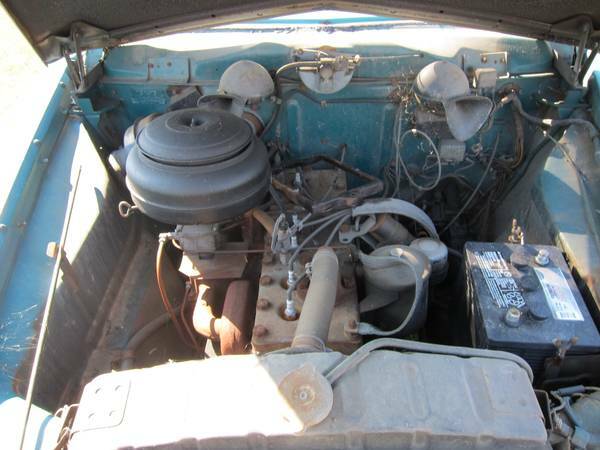 You may have a legal obligation to purchase this Studebaker. In 1943, the Indiana House of Representatives, in an effort to generate even more civic pride due the war, passed a law stating anyone who has been a resident of Indiana for longer than 25 years is obligated to buy a large item made in Indiana. 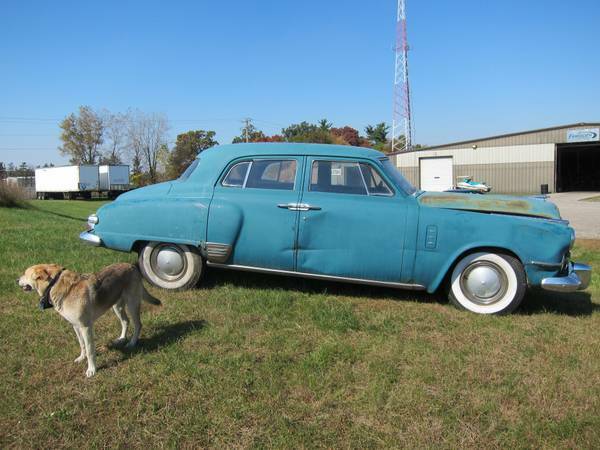 So it looks like this Studebaker or an Auburn. Either would look swell next to your Crown Vic. Now that’s an excuse I wish i could use. There’s also the other Indian law that says that anyone shooting and writing up a car twice for Curbside Classic is obligated to buy it, if it’s for sale. What about those in heavy amounts of debt that can’t buy anything more because of their debt? Would they have to buy anything? Good luck, and I hope you can get it. That car deserves a good, original condition, restoration. An interesting project for sure, but one that is guaranteed to empty your bank account max your plastic. Since you would never get out of it what you have in, it would be a great conversation piece! Hell, just get it safe and running and drive it like that. Shame about that front end damage as it looks reasonably usable as is otherwise. The parts car’s fenders look rather rusty so you’d either be patching those are sourcing another fender for somewhere. Central Indiana has, along with a major Studebaker parts vendor, the very active and knowledgeable Indy Chapter of the Studebaker Drivers Club. Bet you could find some help to get this back on the road. Land Cruisers were kind of plush and comfy for the vintage. I do not remember this name but I sure remember the car. My first one was a 47 Stude but not this bad boy. I have seen my share of old studes down here in salt free East Texas. Have to do a double take every time. I’m struck by how nice the interior looks – back seat areas are so often water-damaged in old cars in the Pacific northwest but I don’t see any stains there. The longer-wheelbase Land Cruiser was Studebaker’s top-line car for years. I don’t remember Studes of that vintage having the inset center in the rear bumper. I wonder if that was a Land Cruiser-only feature. Anyway, I never knew these existed or had “suicide doors” before the Lincoln. Actually, up until 1949 or so, more cars had suicide doors than not. This particular Land Cruiser was owned by a farmer named Mr. Ford. Wow! All that loveliness and he’s throwing in a parts car? Show up with $2k cash and make him an offer he can’t refuse. This car obviously wants to go home with you JPC. I agree that you are now obligated to either buy this car, or help find it a good home. 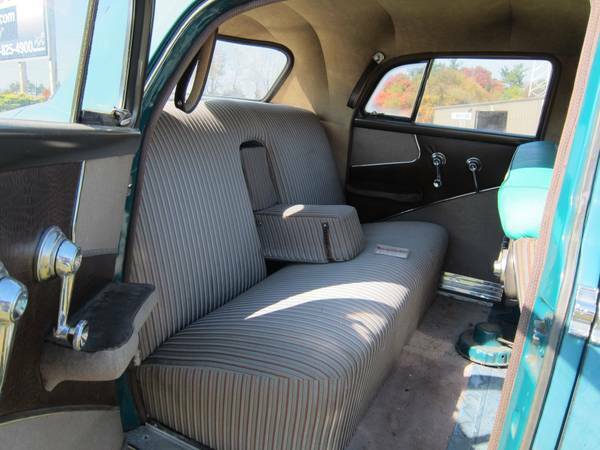 If you are in any way susceptible to the influence of peer pressure I hereby add my recommendation that you buy the Studebaker.